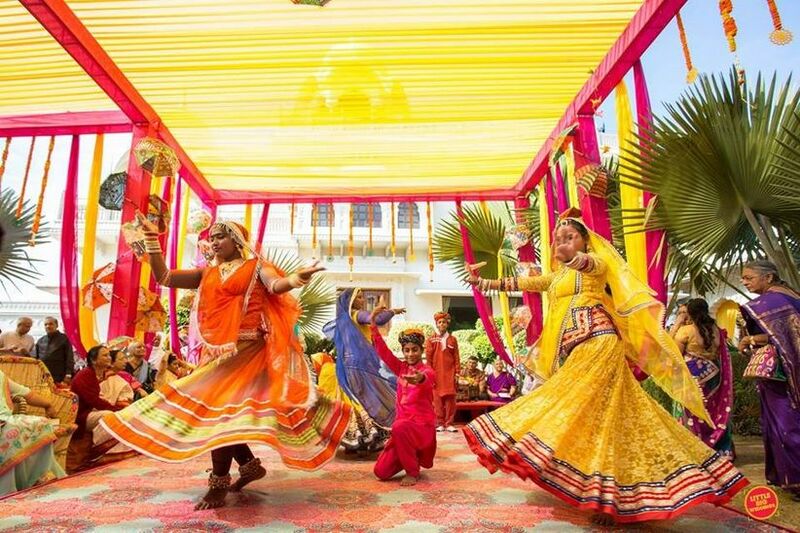 8 Indian Wedding Themes To Serve As Wedding Inspiration | Wedding Tips ARE YOU A VENDOR? Thinking about having a theme wedding? 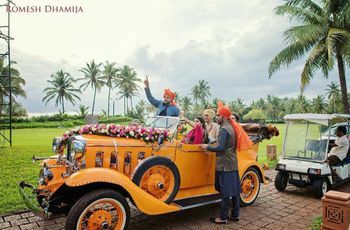 Take a look and choose from our exclusive list of Indian Wedding themes, while planning a wedding experience that would be remembered for ages. 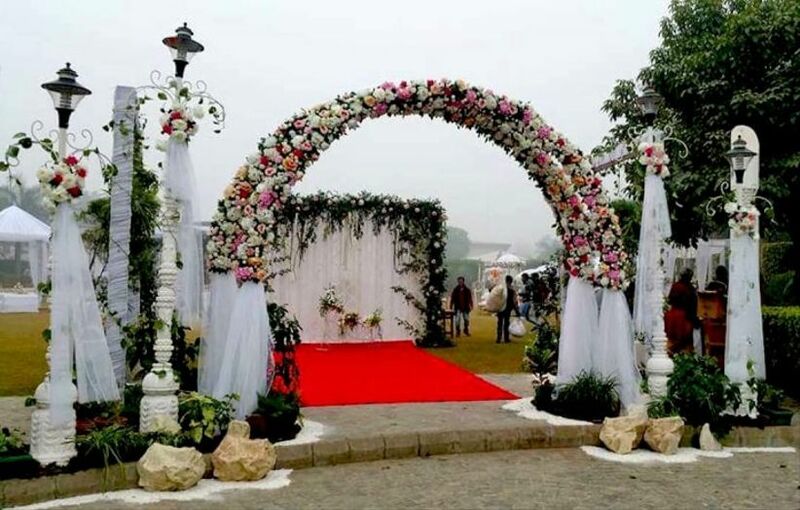 A theme-based wedding places a storyline around your set of big days - be it in costume, wedding decor, wedding venue, catering and themes for all the function within your Indian wedding ceremony, This makes it easy for someone to associate your wedding with the wedding theme, as well as for you (or the wedding planner) to structure it. 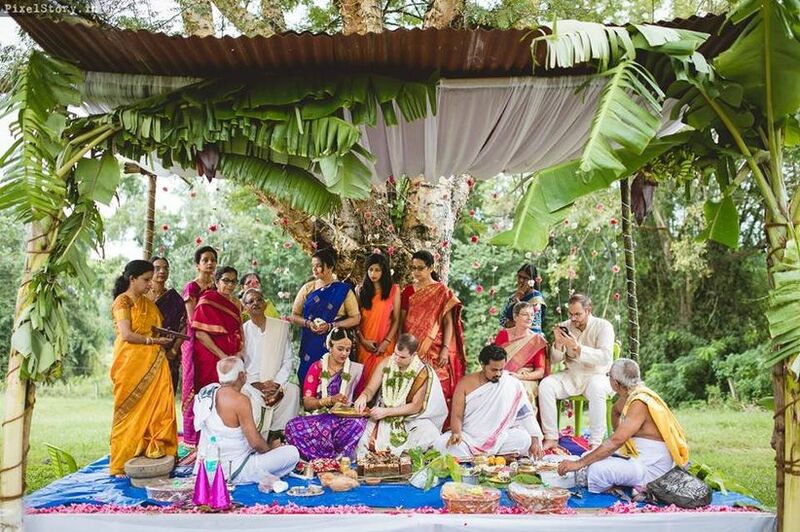 Here are a few common Indian wedding themes. 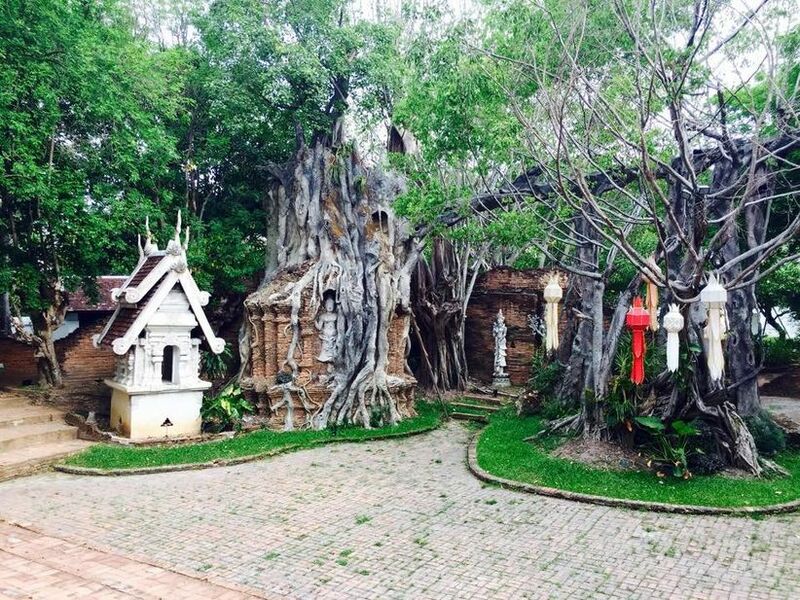 Choose an outdoor location or convert your indoor wedding venue into a fairytale dream idea. 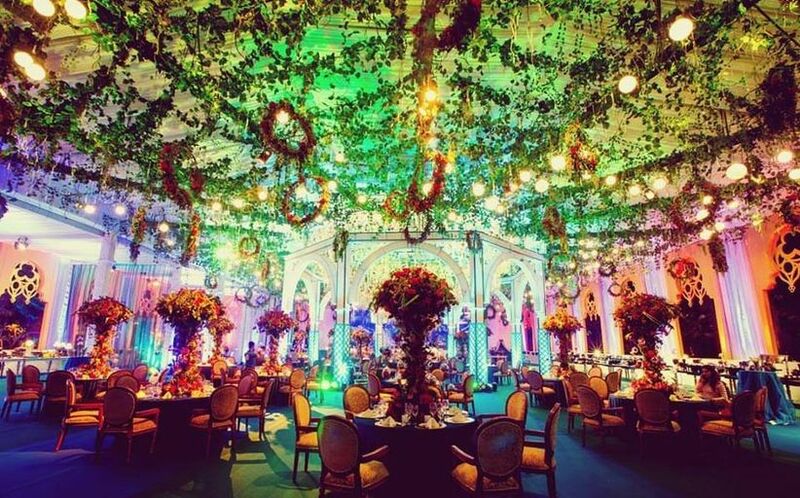 This means use chandeliers, flowers and starry lights for your stage decorations to get a fantasy world look. 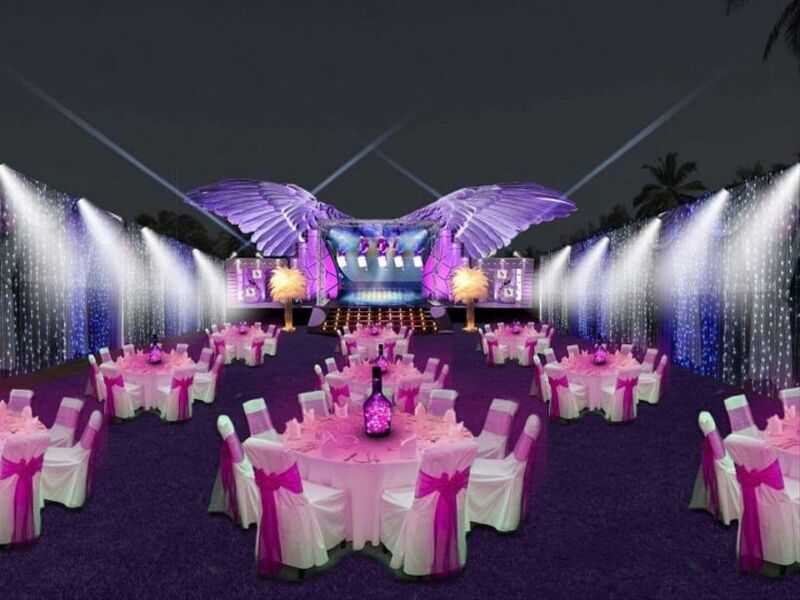 Consult your Wedding planner to have swans in an artificial lake for that extra edge. Put boards and placards with signs like “welcome to a land far far away”, “Cinderella’s bachelorette” or “Elsa’s Mehndi”. Give fun wigs of long hair on pool party to your guests to look like Rapunzel. 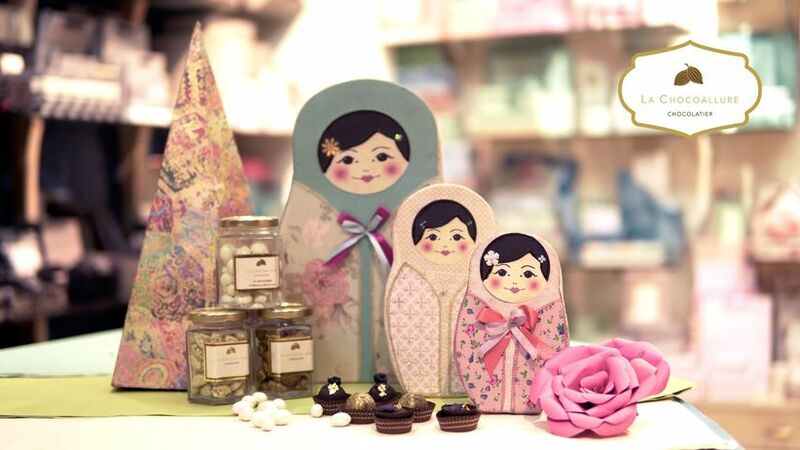 Soft colours like white, pink, peach or pastels for your decor. 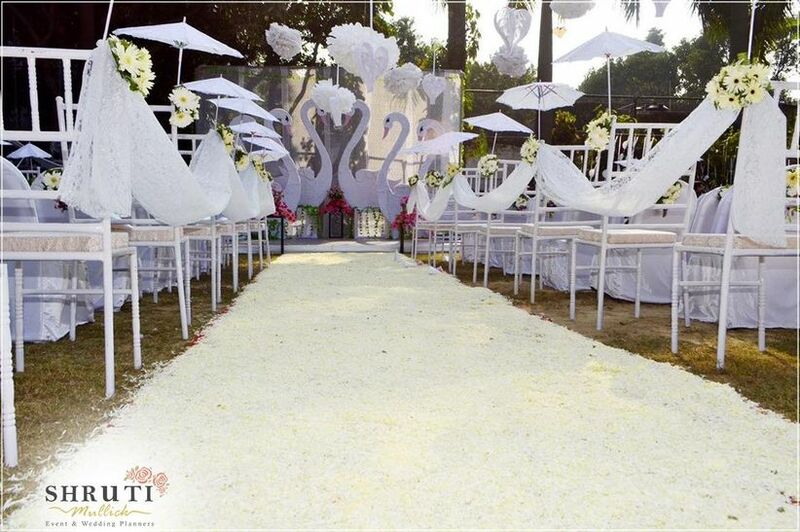 Like your wedding decor, use soft colours like white, pink, peach or pastels for your wedding outfits and decorations. You can go for a frilly toe length gown accessorised with a tiara on your reception or cocktail party. The groom can opt for an all-white suit. 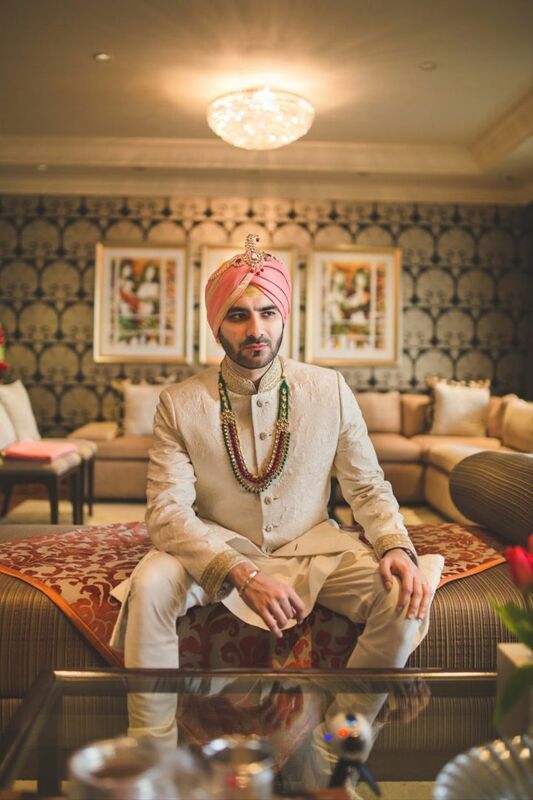 You could also opt for an Indian princely look with a white Sherwani and jewellery. 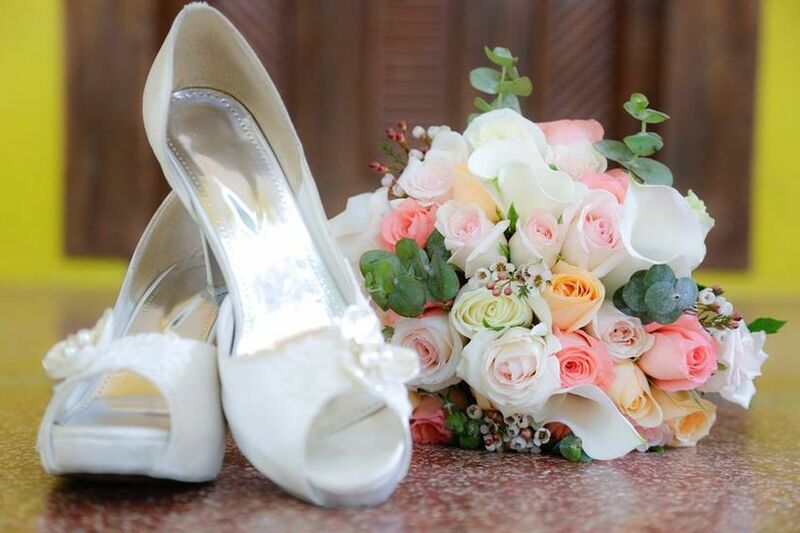 Start your first engagement couple songs and dance performance by enacting the Cinderella’s shoe-fitting scene. 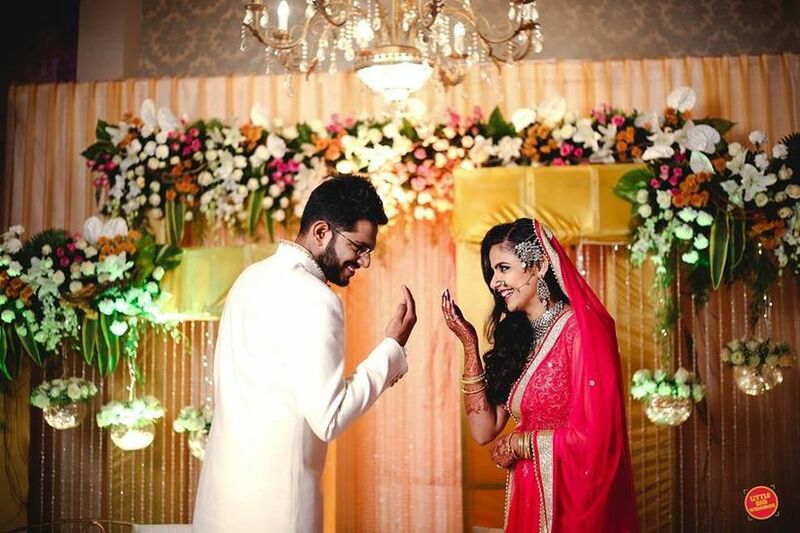 Choose romantic love songs for your couple dance performances on Sangeet. 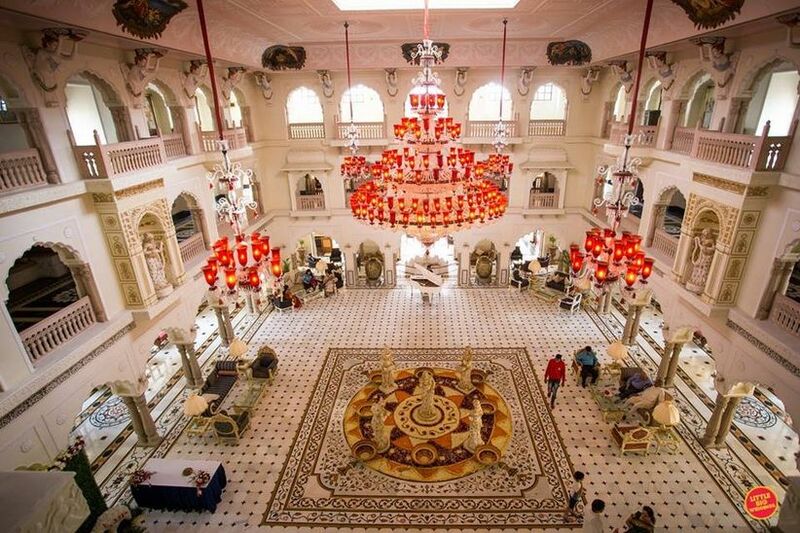 For a royal wedding, nothing less than a majestic palace would do, as your wedding venue. 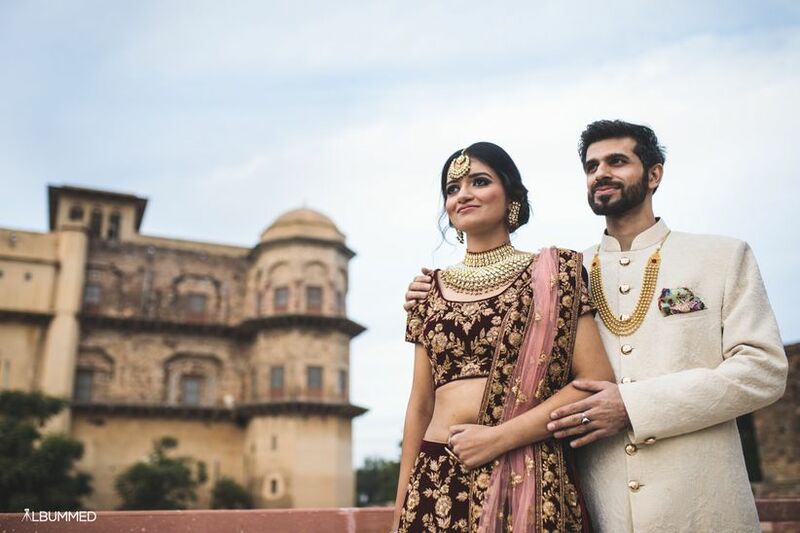 Find yours in a heritage property, a hotel resort, an outdoor location or even a popular destination wedding location (we recommend reading up on these for a Destination Wedding in Udaipur). 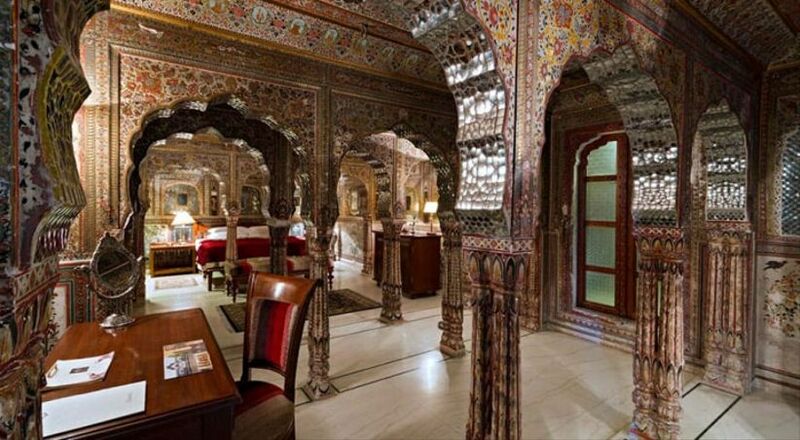 Similarly, for example, The Taj Falaknama, Hyderabad is a great wedding venue option if you’re thinking of a royal Nizami wedding. 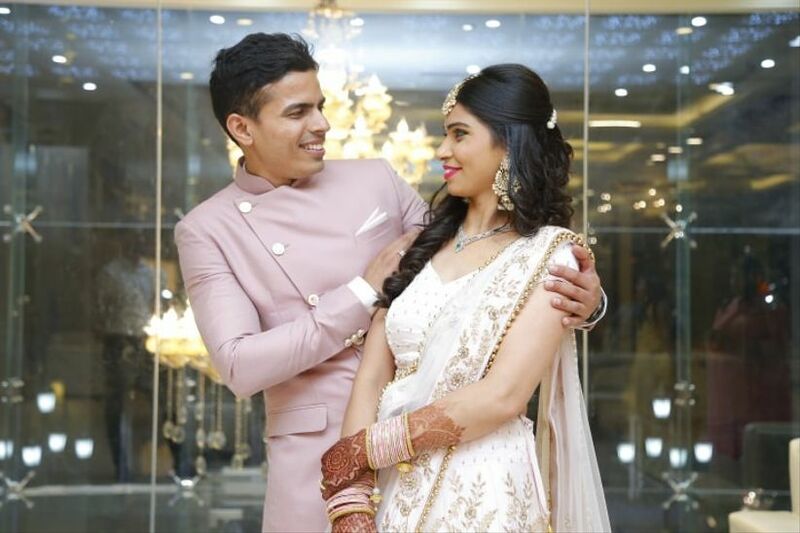 Choose your bridal and groom wear in accordance with your royal wedding theme. 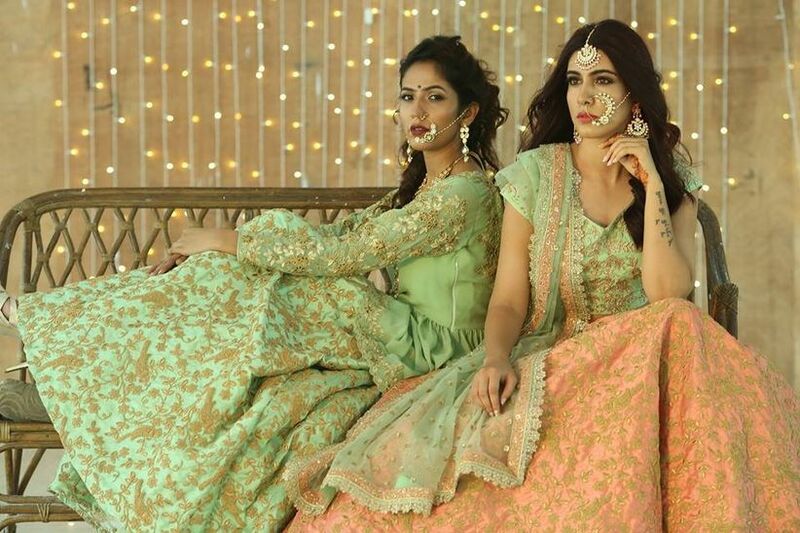 If you’ve been eyeing those Nizami bridal magazines and want a Hyderabadi regal look, go for heavy silver zardosi work on Lehengas with an elegant Khada Dupatta. Accessorise with diamond jewellery. 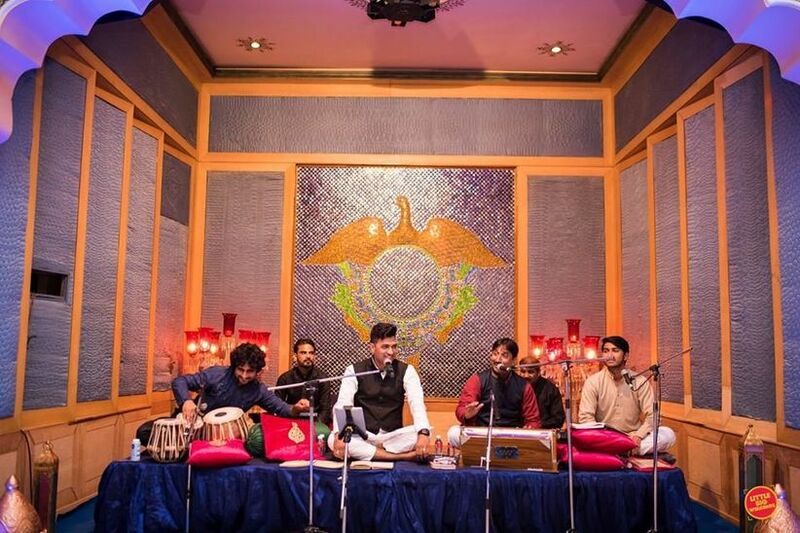 Grooms can wear silver embroidered Sherwanis with contrasting Uttariyas paired with matching Nagrai juttis. As an accessory, you can carry a sword in a kingly style. 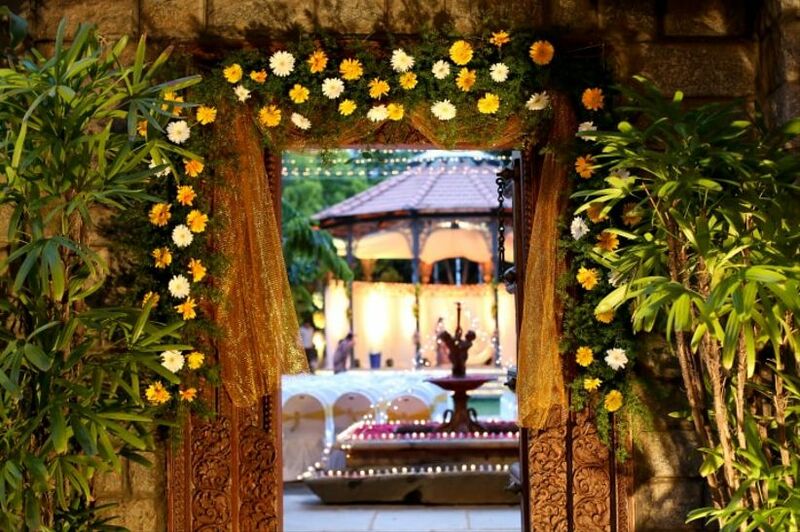 An elegant Haveli, a heritage property or an expertly decorated banquet play perfect host to your dream for a Lakhnavi themed wedding. 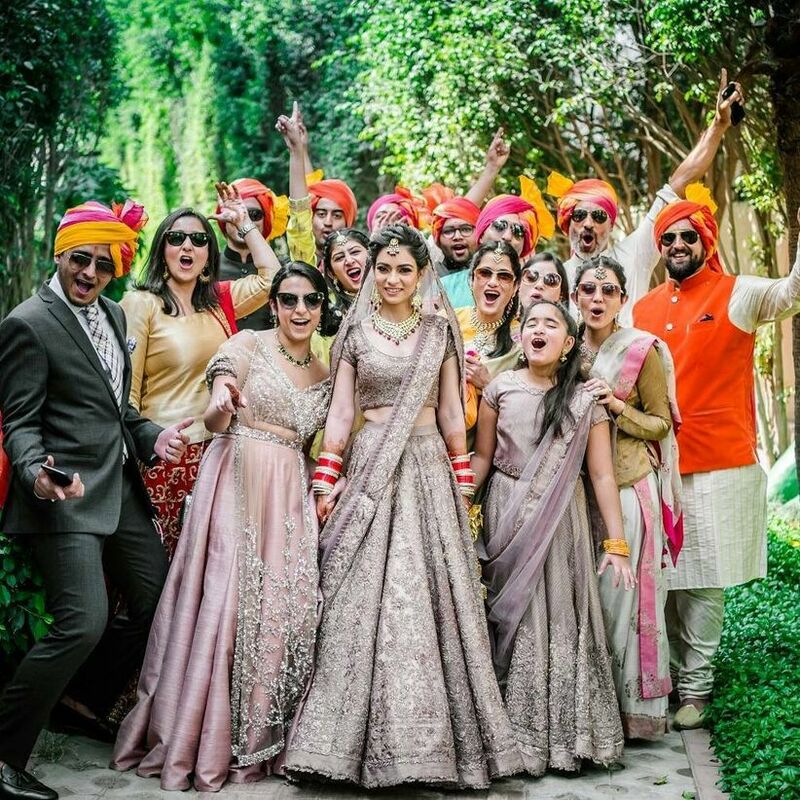 Use Lucknowi chikan as much as you can in your wedding outfits. 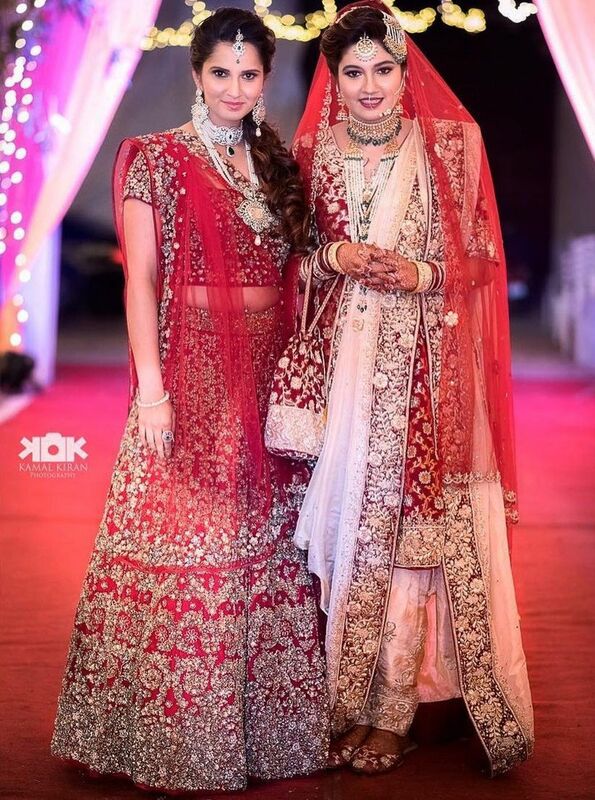 The bride can opt for Anarkali dresses for Haldi, Mehndi and Sangeet. Groom can go for a chikan embroidered Kurta for most of the ceremonies. 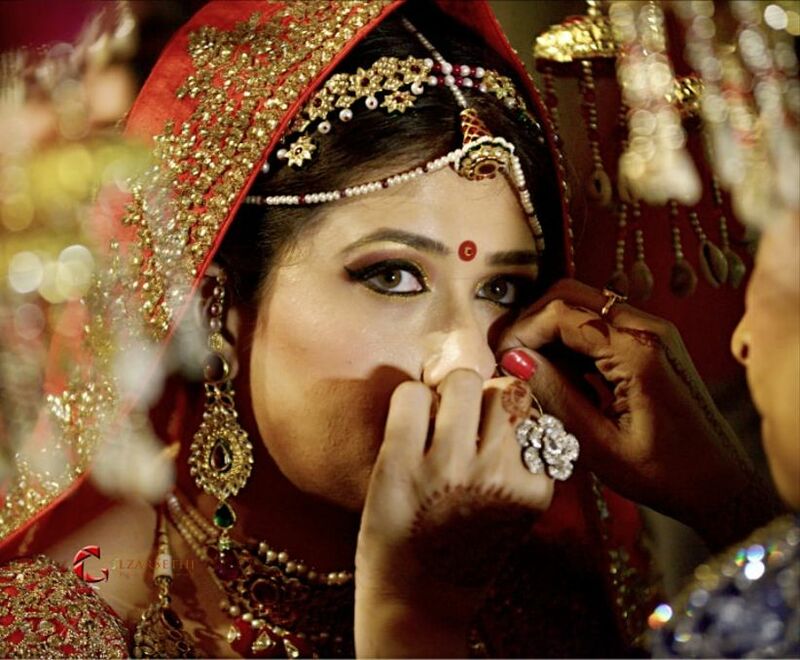 Go for Kundan or gemstones for your bridal jewellery. 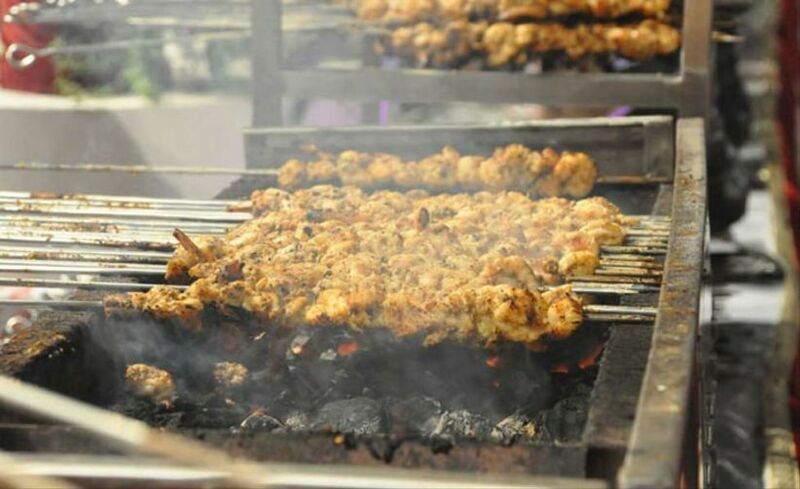 Don’t forget to book appropriate wedding caterer to serve authentic Awadhi cuisine with famous Tunday Kebabs and Lucknowi biryani as special attractions. 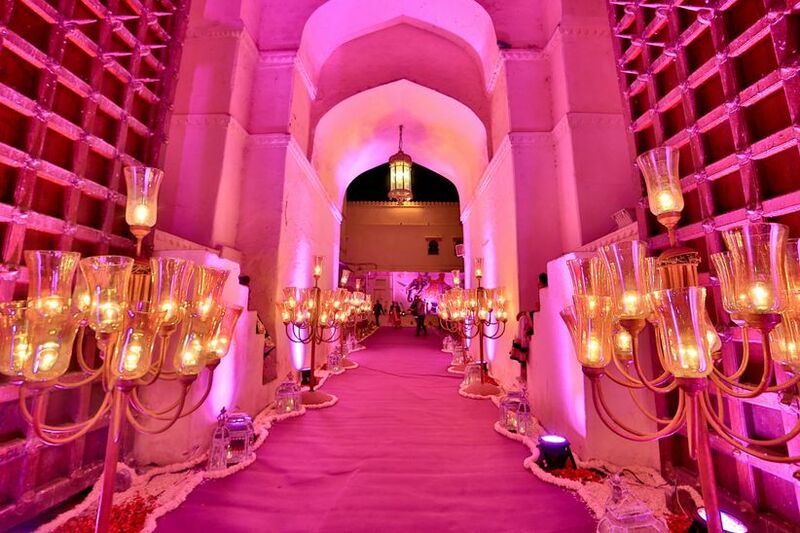 Add a little “Apno Rajasthan” touch to your wedding theme. 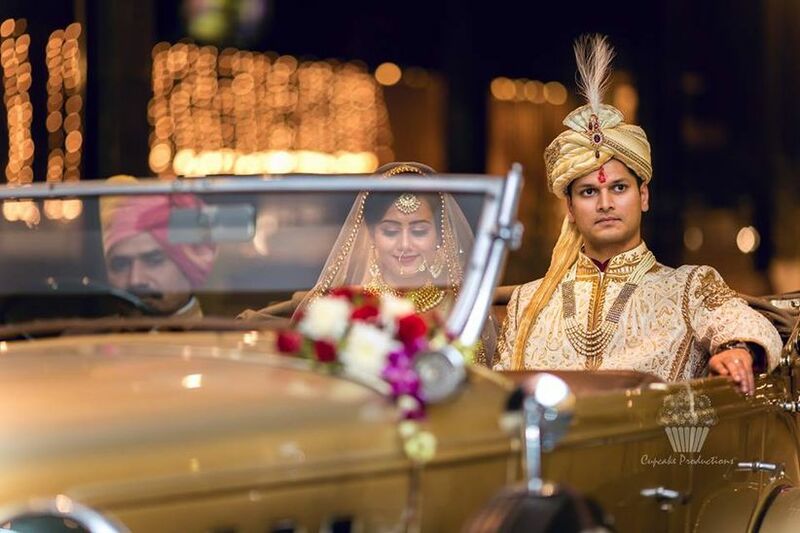 Always a popular choice among Indian wedding themes here’s all you can do for a Rajasthani wedding. 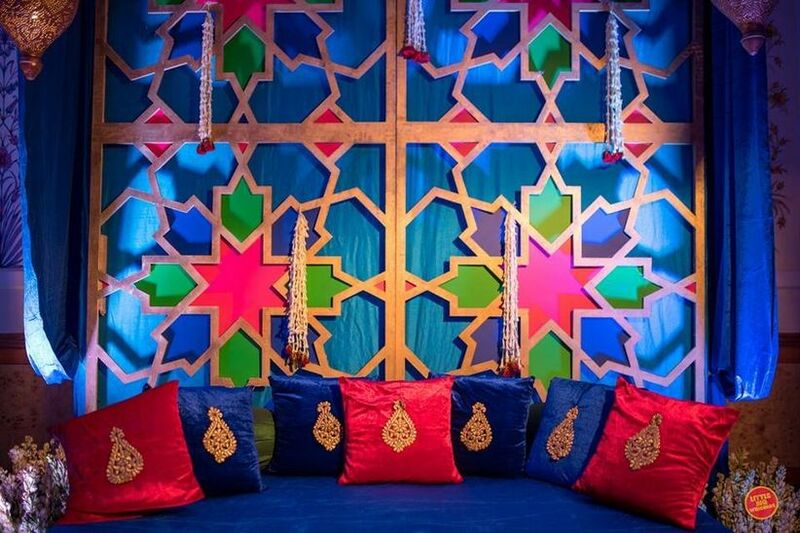 Go for colourful folksy decor like low floor seating with cushions and bolsters for your Rajasthani theme wedding. 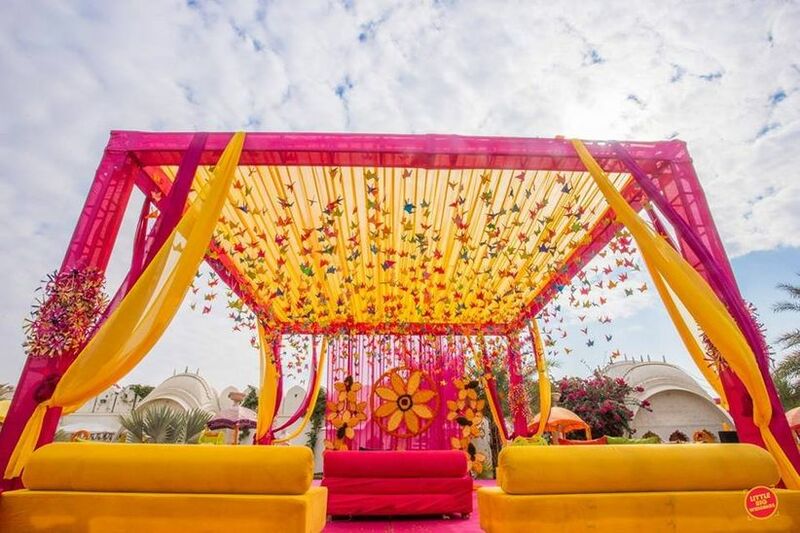 Use lots of Bandhani printed drapes, large clay pots, vases, clay wind-chimes, wooden figurines and sculptures as a part of the wedding decoration. 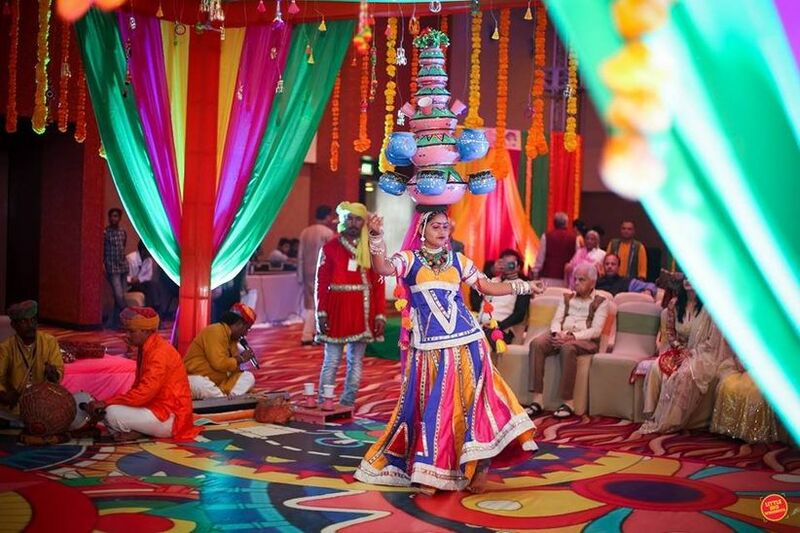 Give your Sangeet a unique character by organising Rajasthani folk song and dance performances. 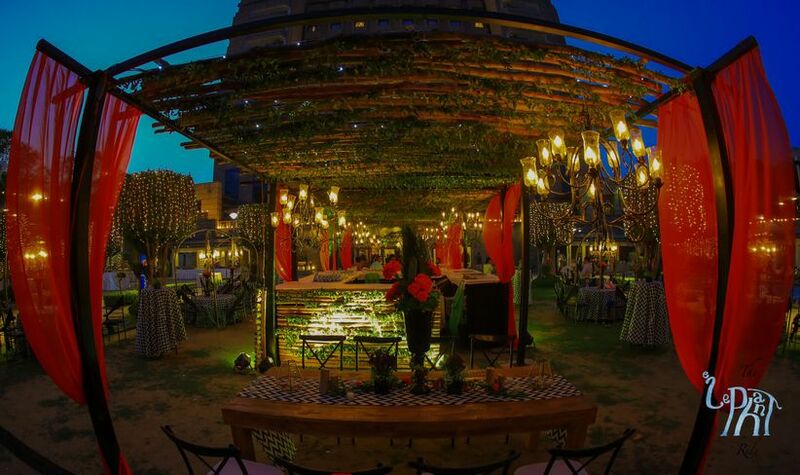 You can also entertain your guests with puppet shows, organised authentic Rajasthani Mehndi designs and craft a bridal entry in a palki. 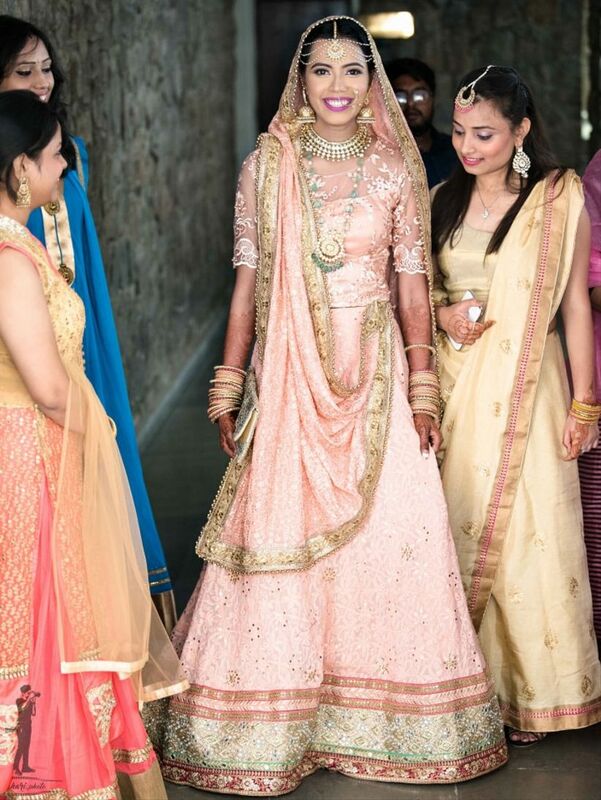 The bride can opt for traditional Rajputani bridal Lehenga in bright colours accessorised with Gota or Kundan jewellery. 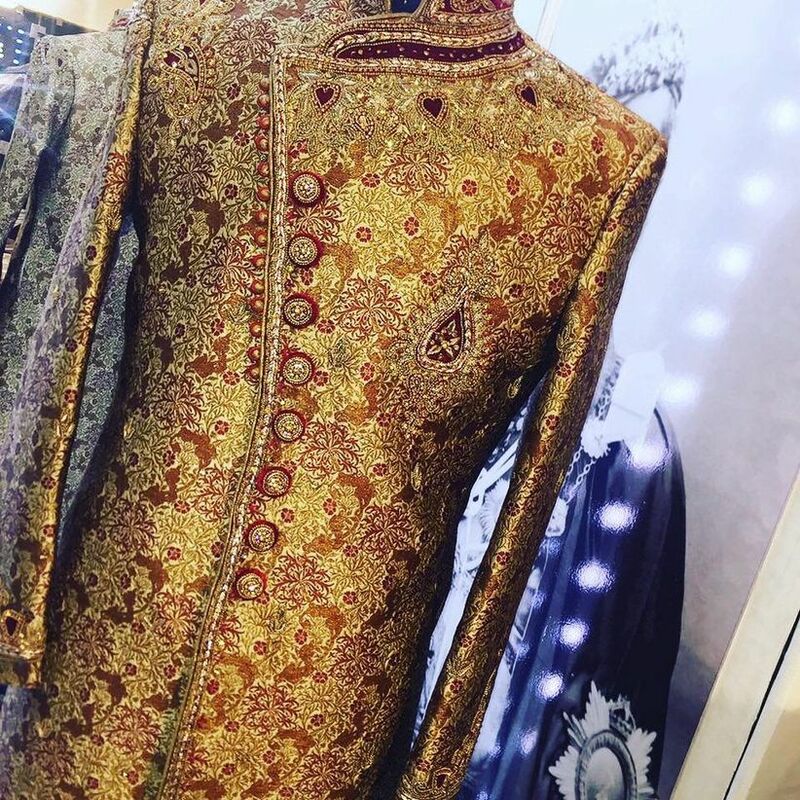 Grooms can wear Jamawar Sherwani with Zari, beads or stonework and a silk turban with stone ornate. 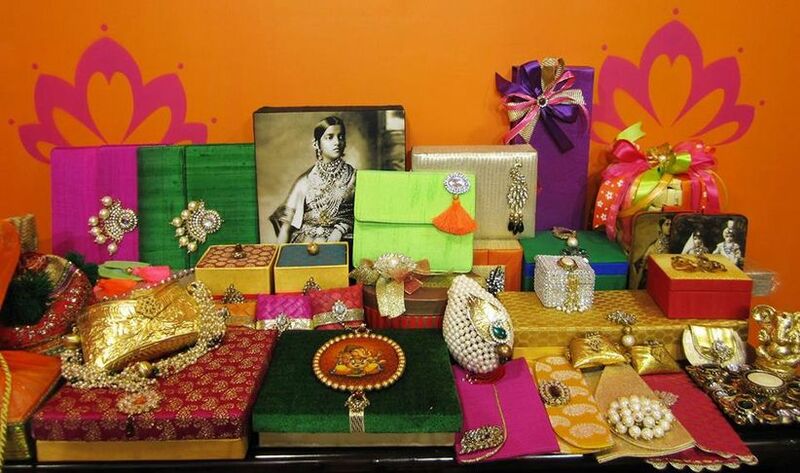 For wedding return gifts, you can opt for beautiful Rajasthani style jewellery boxes, tie & dye sari and dress materials or pottery items. 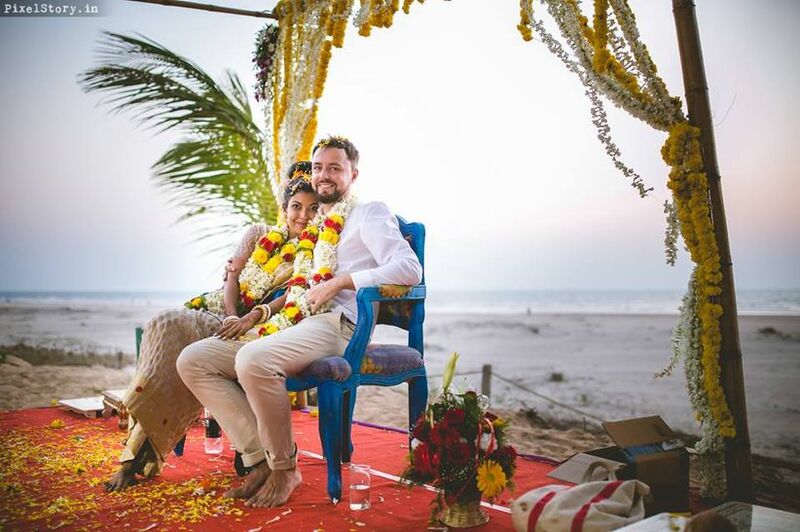 Book a beach resort or hotel as your wedding venue. 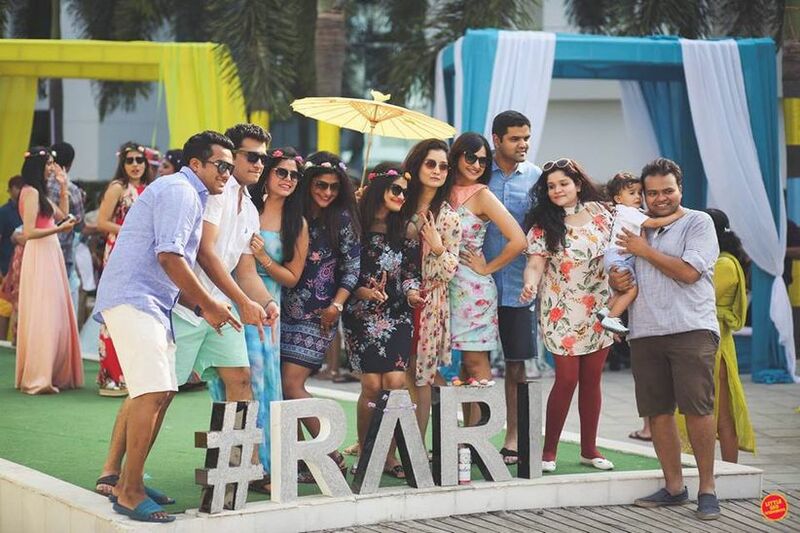 As most of the events are outdoor, provide colourful umbrellas, hats, scarves and sunglasses to your guests. 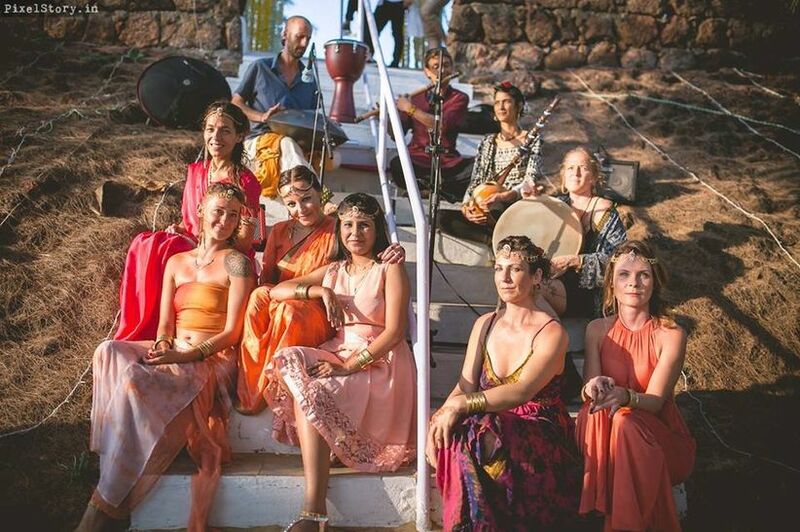 Organise calypso music, jazz and belly dance performances on your Sangeet or Cocktail nights. Go for Hawaiian costumes and luaus for a beach vibe. You may also organise a rain dance to get it everyone drenched in the mood. 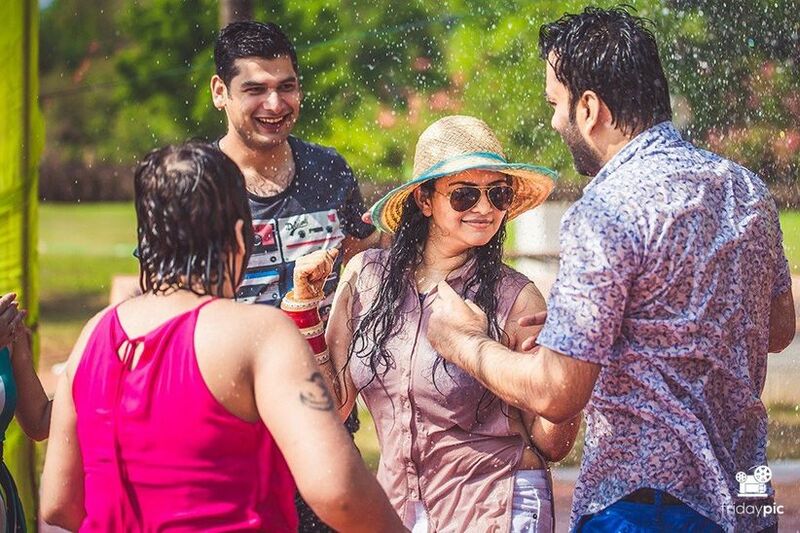 Engage your guests in beach games and contests. Keep huge bottles of sunblock for the guests scattered around the venue. Wear summery, floral dresses for your wedding events. 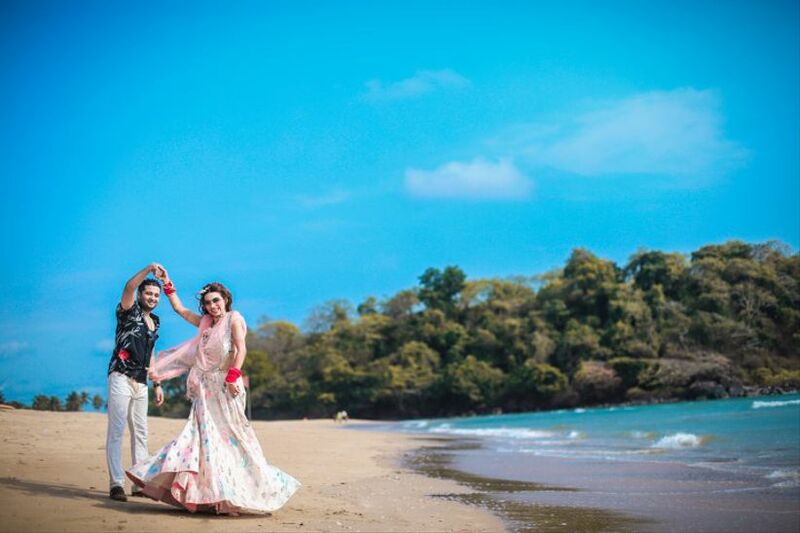 As for the wedding day, go for light or sea blue coloured clothes with minimal jewellery. 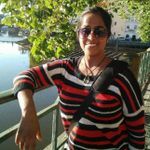 Choose an eco-friendly location with minimal waste or need for extra resources. 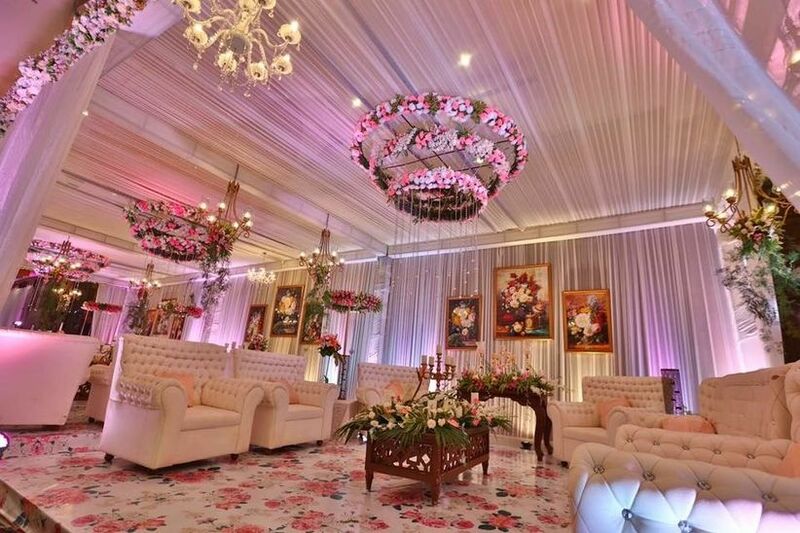 Go for Dupattas, drapes, saris and stoles for your wedding decor. 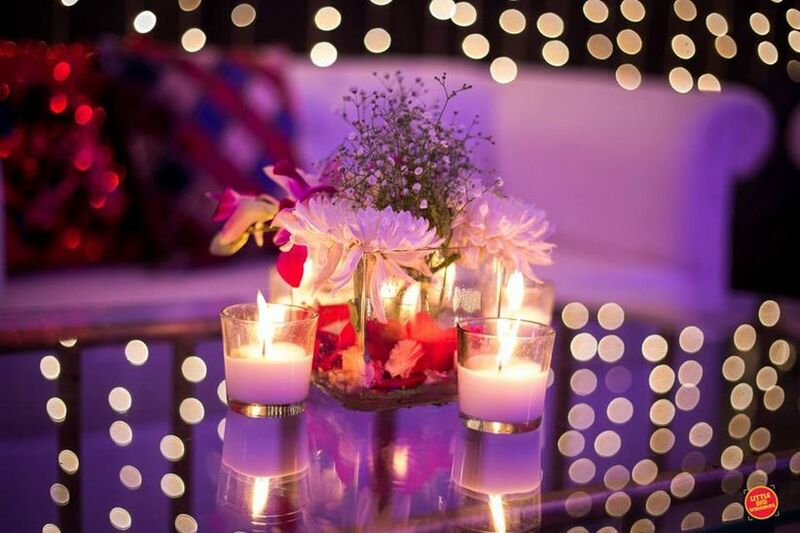 Use candles, earthen lamps, oil lanterns and glass reflectors as a source of lights. Request your guests to donate generously to any charity organisation instead of getting you presents. Give plants pots and saplings as return gifts to your guests. 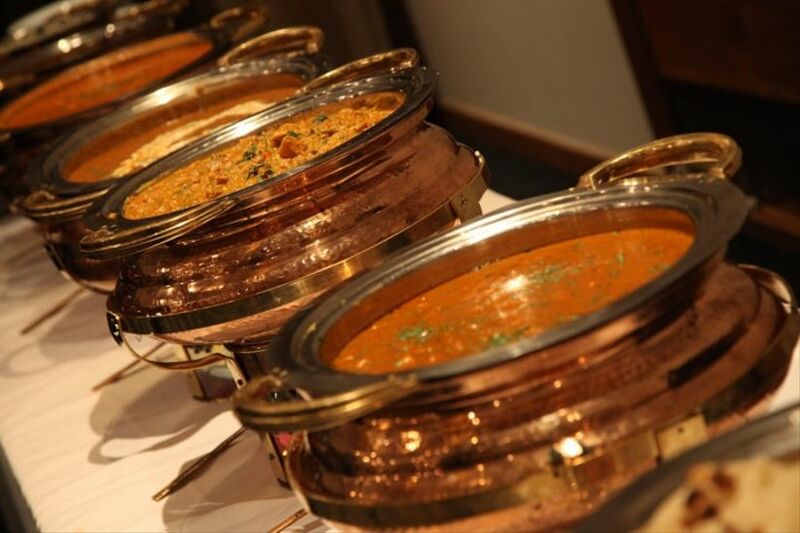 Contact an NGO to collect excess food from the wedding. 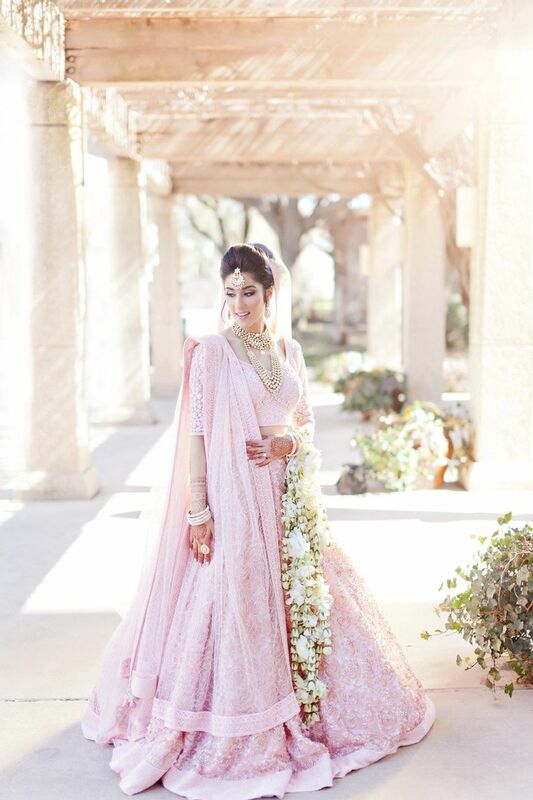 Opt for a botanical Jaimala design for your wedding to go with the theme. 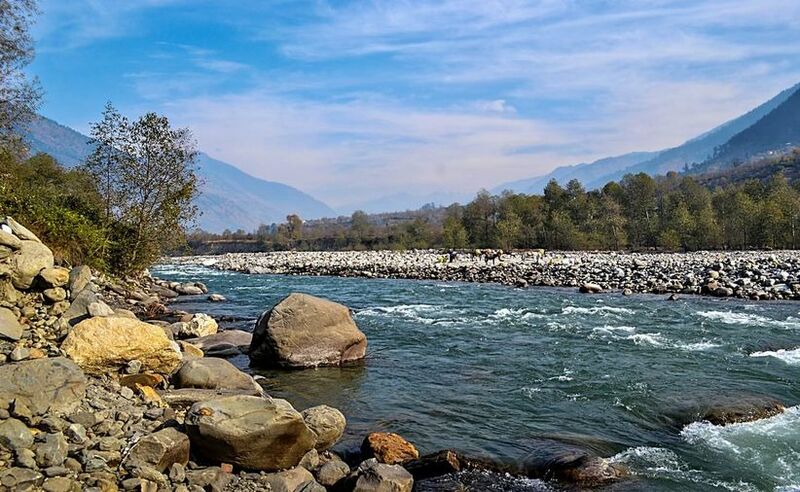 Tie the holy knot in front of a river or a lake. 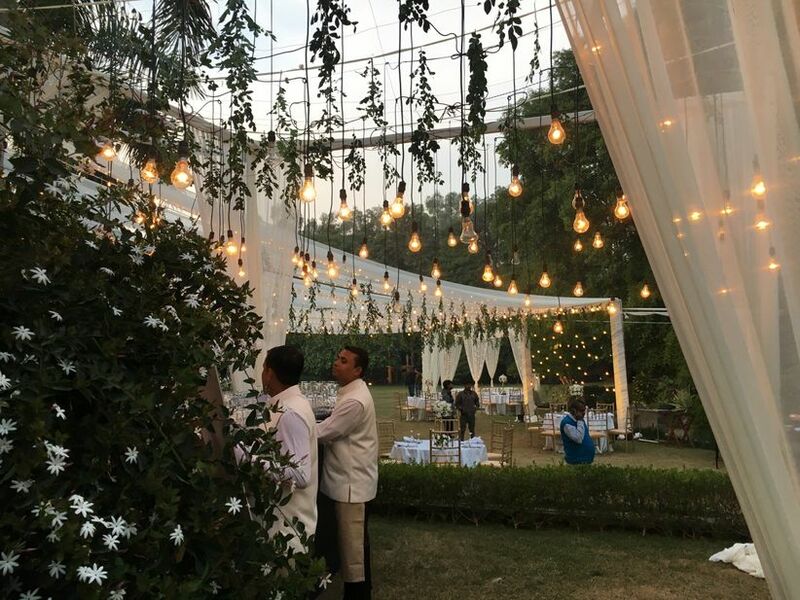 You can also arrange bonfires for your cocktail and Sangeet. 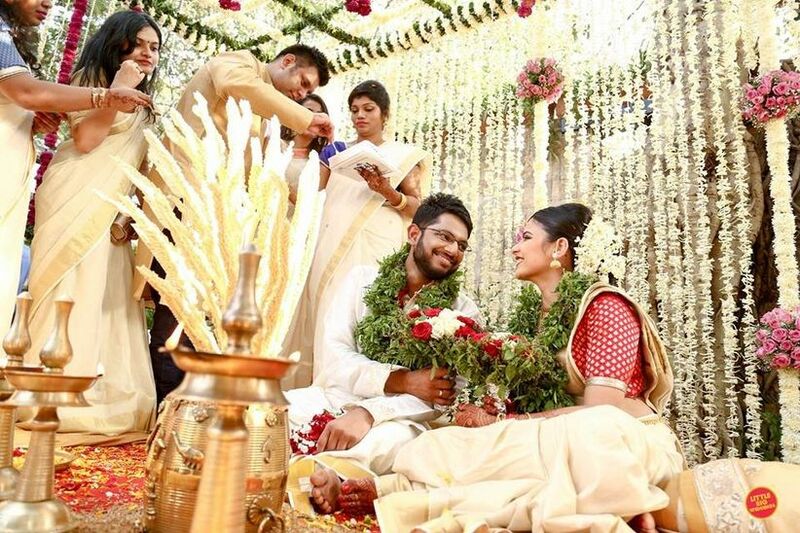 Wear different shades of green like olive, avocado, bottle or henna on different wedding ceremonies for a smooth blend with the surroundings. Let the wedding menu reflect elements taken from the elements. 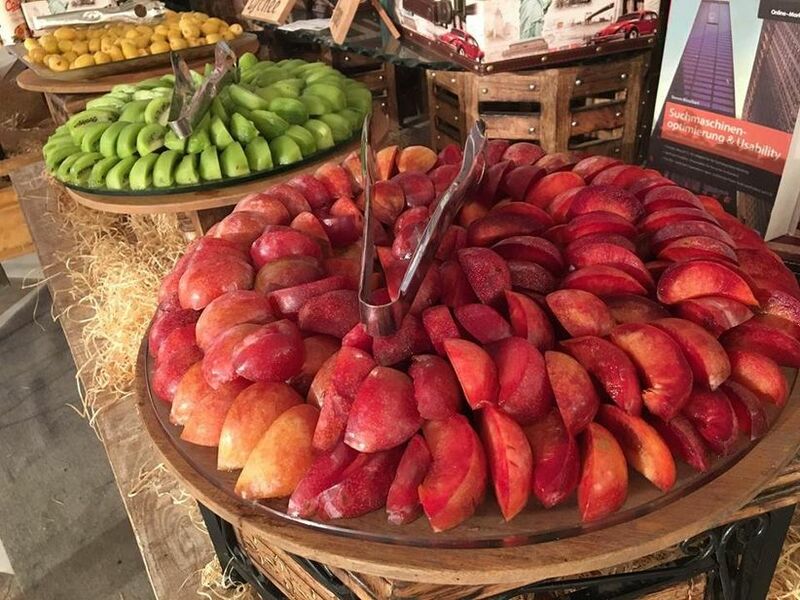 PIck fruits and vegetables local to the area (especially if you're planning a destination wedding). You could add freshly caught fish and meat to the dishes as well. 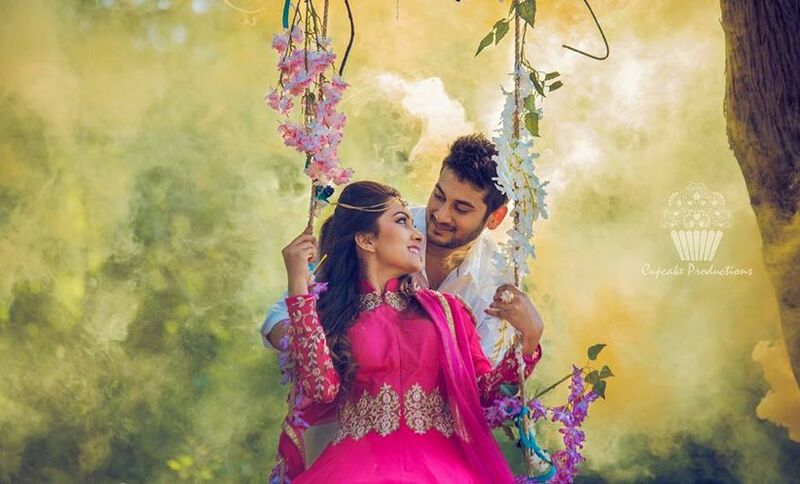 Choosing any theme for your wedding can be a fun thing to do with your partner. 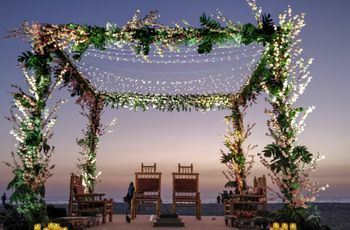 Get a hold of all kinds of wedding catalogues and websites before you select an apt wedding theme for yourselves. 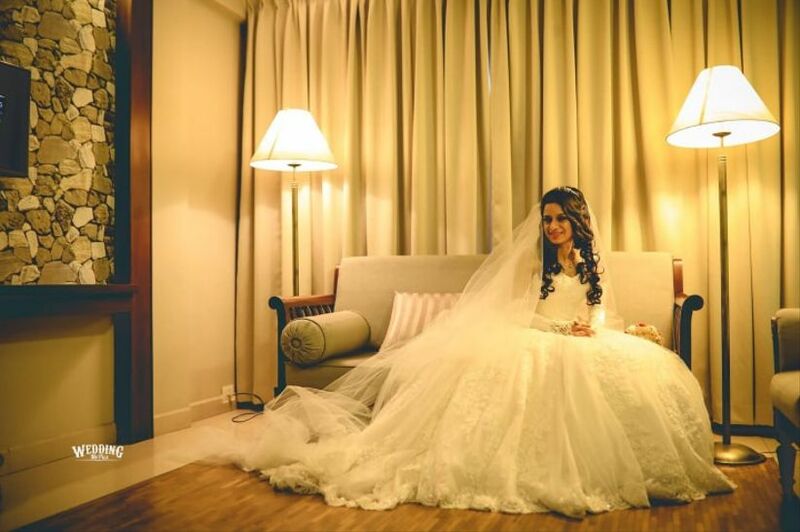 Your wedding day is supposed to be the most special occasion of your life. 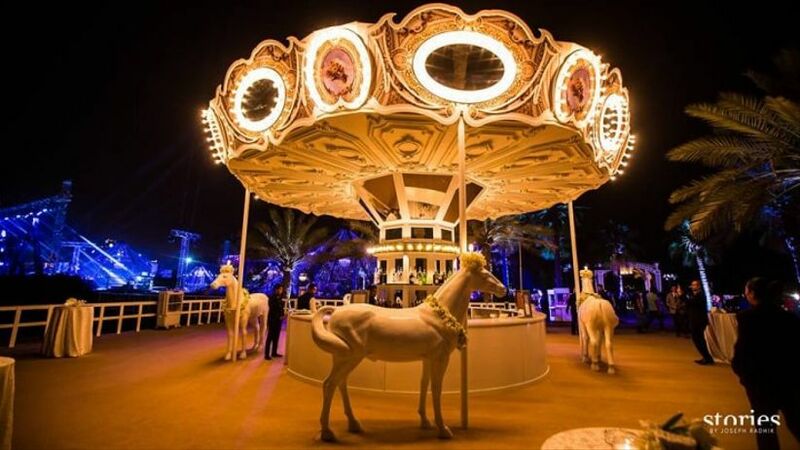 Make it an event full of surprises, quirks and bizarre stories so that when you look back at these moments, you just can’t stop smiling. 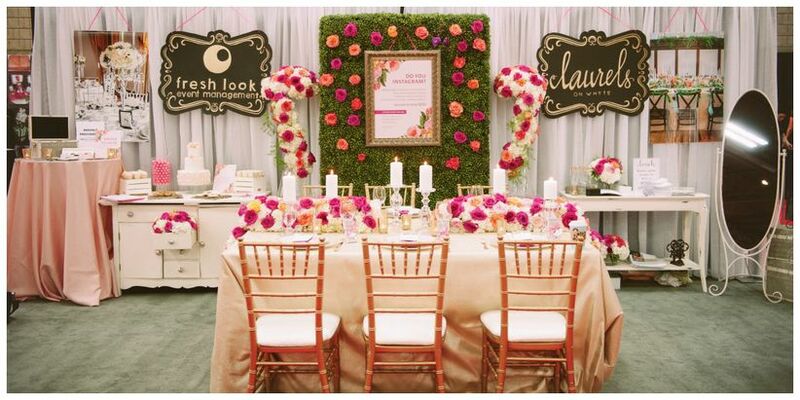 So do you have any more interesting wedding theme ideas? Please share them with us in the comments section below. 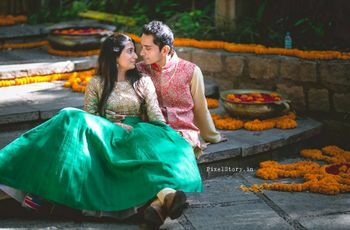 3 comments in "8 Indian Wedding Themes To Serve As Wedding Inspiration"
The entire list of article is pretty nice thanks fo sharing this knowledge of themes wedding, wedding is very special occasion in everyone’s life. I was looking for the perfect wedding theme for my sister's wedding and here i got the solution. Interesting article and very nice lines. Thanks for sharing the knowledge of themes wedding. I was looking for the perfect wedding theme articles for my sister's wedding and here i got the solution.